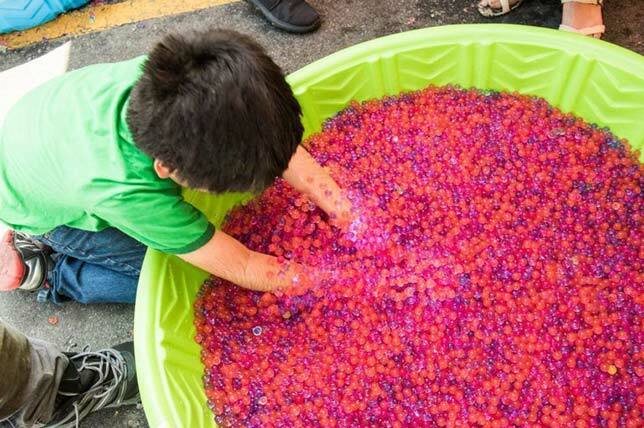 An elementary school in California has opened a new "sensory room" with the help of Fullerton Cares, a local non-profit that advocates for people with autism. Fullerton School District's Sunset Lane Elementary will make the space available to all people with disabilities in the school system. The room features a swing structure with multiple swings, a touch wall for tactile input, a squishy corner, multiple sensory bins, light-up bubble tubes and an outdoor garden area. The idea is to provide equipment that will help the children calm themselves and gain focus preparatory to their learning and interactions with others. A unique feature of the room is the setting. It's located in a general education school to provide inclusion opportunities for all students. The project was sparked by Amy Jahn, a teacher in grades 1-3. It received financial support from a number of local organizations, including Disney VoluntEars, Woman's Club of Fullerton and the district itself. According to the Centers for Disease Control and Prevention, autism is a developmental disability that can create social, communication and behavioral challenges. A 2014 study of 11 communities in just as many states found that one in 59 children aged 8 were identified with autism spectrum disorder.